A Texas grand jury on Thursday indicted a 17-year-old student accused of fatally shooting 10 people in May at a Houston-area high school. Dimitrios Pagourtzis was formally indicted on charges that include capital murder of multiple persons. Under Texas law, capital murder carries an automatic sentence of life in prison with a parole option for those younger than 18. The graduates and attendees at Friday's ceremony paid tribute to the 10 students and teachers who died in last month's mass shooting at the Texas school. 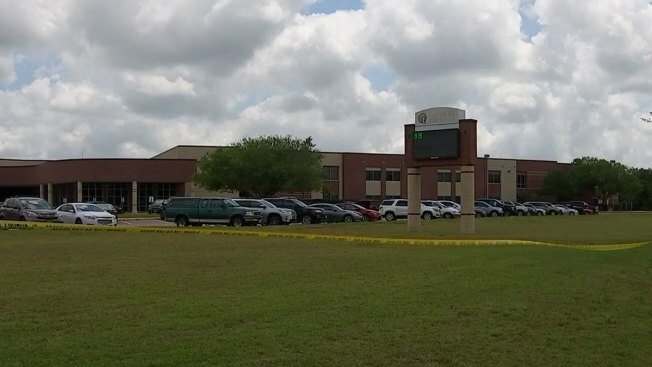 Investigators have said Pagourtzis admitted going on a shooting rampage at Santa Fe High School that killed eight students and two teachers. Authorities said the teen used his father's pistol and shotgun to burst into the school's art classroom and begin shooting. Witnesses said the gunfire went on for 10 to 15 minutes, and police said Pagourtzis engaged in a prolonged firefight with officers before finally surrendering. Gov. Greg Abbott has said Pagourtzis intended to kill himself but gave up and told police that he did not have the courage to take his own life. The rampage was the nation's deadliest such attack since the mass shooting at a Florida high school in February that gave rise to a gun-control campaign by teens. In Texas, grand juries have 90 days from the date of a suspect's detention to indict or not indict a suspect, said Galveston County prosecutor Ross Hill. The Pagourtzis case was presented to a Galveston County grand jury impaneled last month, he said. Dakota Shrader, a student from Santa Fe High School, describes what happened when shots were fired during her morning history class. Multiple people died during the shooting.